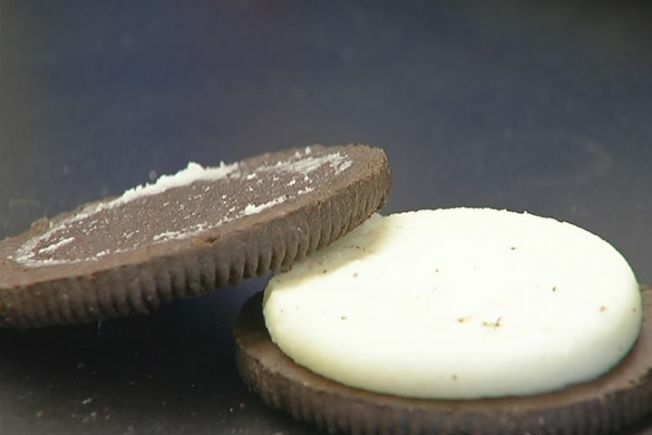 Oreos are as addictive as cocaine, at least for lab rats, according to a study by Connecticut College students and their neuroscience professor. Much like humans, rats also start with the creamy center, rather than the cookies, the study also found. The purpose of the study was to look at the potential addictiveness of high-fat and high-sugar foods. Professor Joseph Schroeder and his students found that eating cookies activated more neurons in the brain’s “pleasure center” than exposure to drugs, like cocaine or morphine. In the study, hungry rats on one side of a maze were given Oreos. Rats on the other side of the maze were given rice cakes. “Just like humans, rats don’t seem to get much pleasure out of eating them,” Schroeder said of the rice cakes. Then, rats on one side of the maze were given a shot of cocaine or morphine, while rats on the other side were given saline. Schroeder is licensed by the U.S. Drug Enforcement Administration to purchase and use controlled substances for research. The research showed that the rats conditioned with Oreos spent as much time on the “drug” side of the maze as the rats conditioned with cocaine or morphine. It also showed that Oreos activated significantly more neurons than cocaine or morphine. “This correlated well with our behavioral results and lends support to the hypothesis that high-fat, high-sugar foods are addictive,” Schroeder said. Schroeder and his students chose to feed the rats Oreos because they wanted a food that is appetizing to humans and contributes to obesity in the same way cocaine is pleasurable and addictive to humans, according to a news release from Connecticut College. The school said the research was the brainchild of Jamie Honohan, a neuroscience major who graduated in May and worked with several other students last year to measure the association between drugs and environment. Honohan said it might not be scientifically relevant, but she was surprised that the rats broke the cookies open and ate the middle first. Schroeder, an assistant professor of neuroscience at Connecticut College, will present the research next month at the Society for Neuroscience conference in San Diego, Calif. In the photo below by Bob MacDonnell, courtesy of Connecticut College, Schroeder, assistant professor of neuroscience at Connecticut College, (left) and Lauren Cameron, a senior at Connecticut College and student researcher in Schroeder’s lab, (right) found that in lab rats, eating Oreos activated more neurons in the brain’s “pleasure center” than exposure to drugs of abuse.